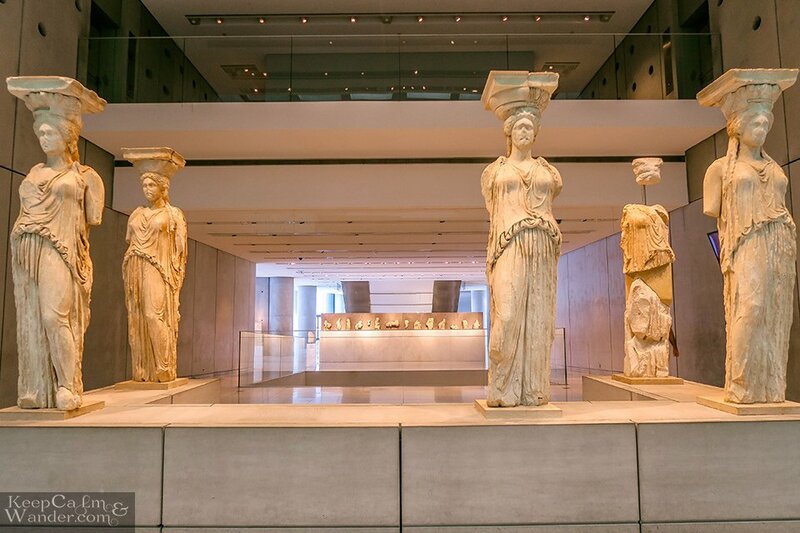 If I were you, visiting the Acropolis Museum in Athens should be your first business of the day. Then, climbing Acropolis to see the grandeur of The Parthenon is next. Yes, I know – you’d prefer to see the Parthenon first to avoid the crowd. Well, if you’re just going to take photos without the crowd in the background, then, that’s a smart thing to do. 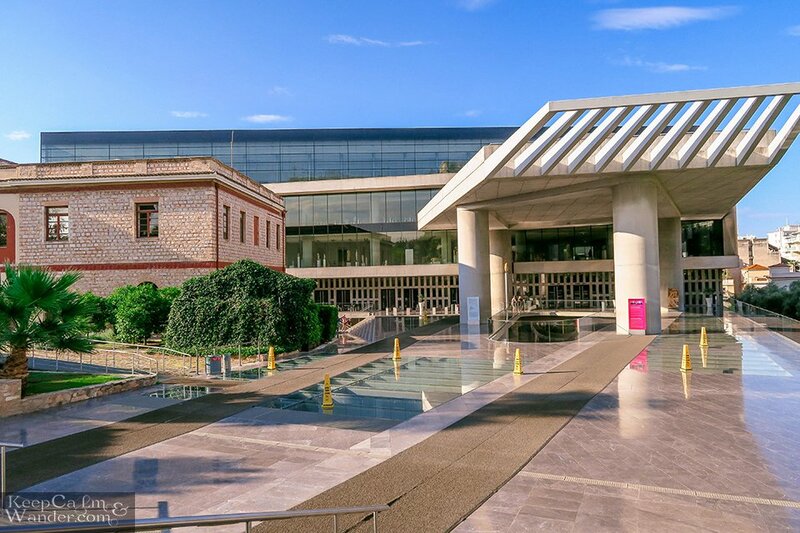 But, if you want to fill in your brain with historical facts and visual feast on artifacts – visit the Acropolis Museum first. The displays on the last floor of the museum are shaped like the Parthenon. The set-up gives you a clear picture of what it was once like. You need to know that you can’t get close to The Parthenon in Acropolis because it is fenced and it is heavily guarded by workers in civilian clothes. 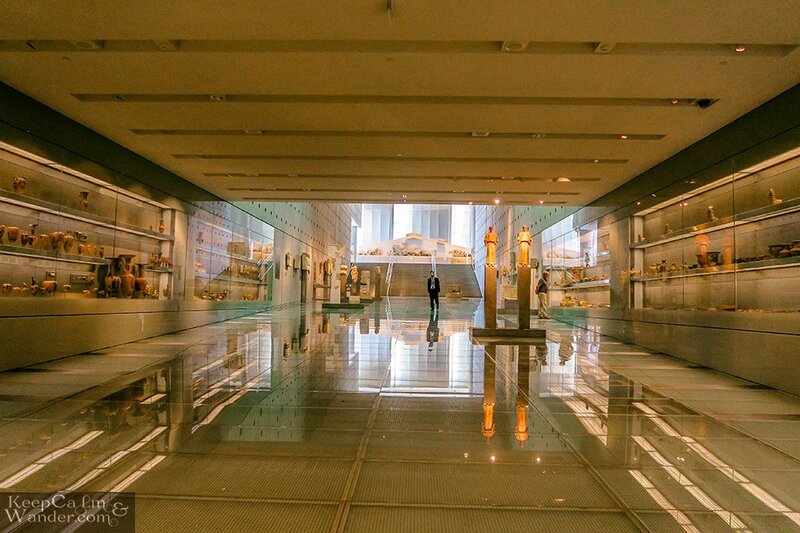 Inside the Acropolis Museum in Athens (Greece). 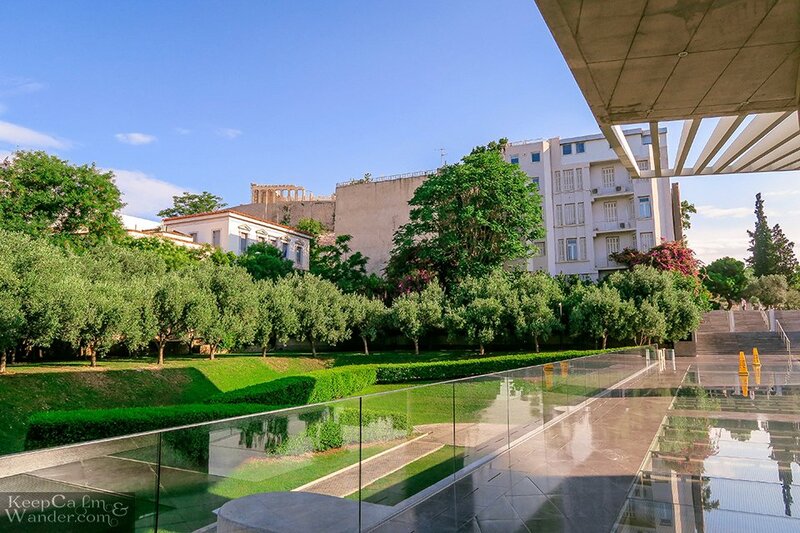 The Acropolis Museum is of modern architecture. The whole building is surrounded by glass. Only very few artifacts are enclosed in glass cages. Ancient statues are displayed openly but, of course, you can’t touch them. The first level has glass floors. That is for visitors to see what’s underneath the museum. 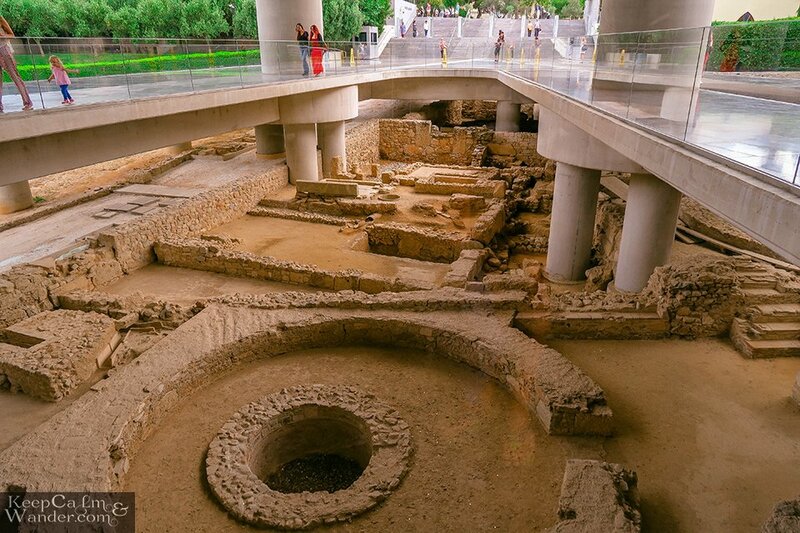 You’d be surprised to see that beneath you are the ancient neighborhood of Athens. It dates back to 5th century BC to 9th century AD. You’ll find streets, workshops, houses and baths. TIME TO SPEND: You’ll need at least 2 hours to stay here. We stayed for three hours though because we had breakfast. 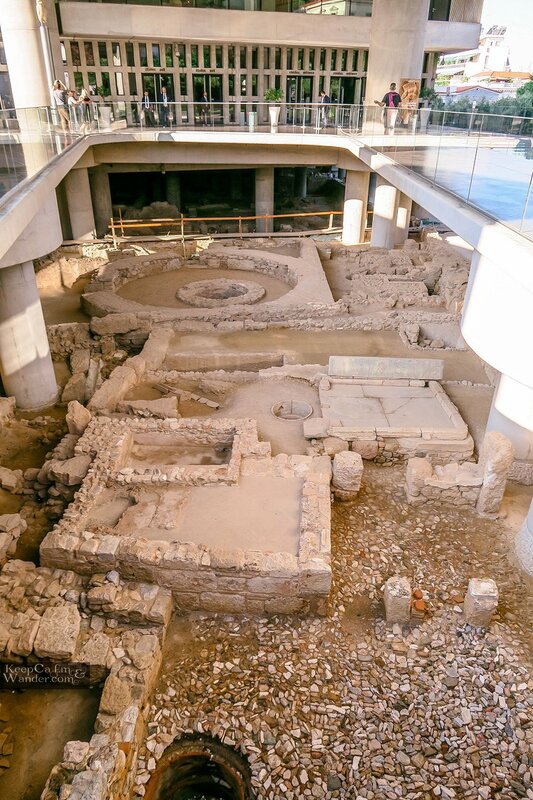 Inside the Acropolis Museum (Athens, Greece). 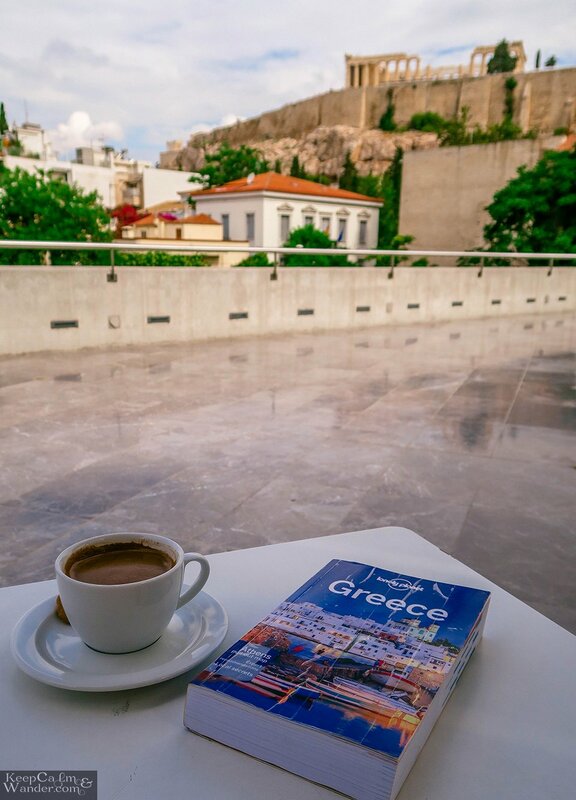 If you want to stay in the heart of ancient Athens with a fantastic view of the Acropolis and the Parthenon from your room window, then, A for Athens Hotel in Monastiraki is your best bet. They also have a rooftop bar and restaurant with a breathtaking view of the ancient sites nearby. 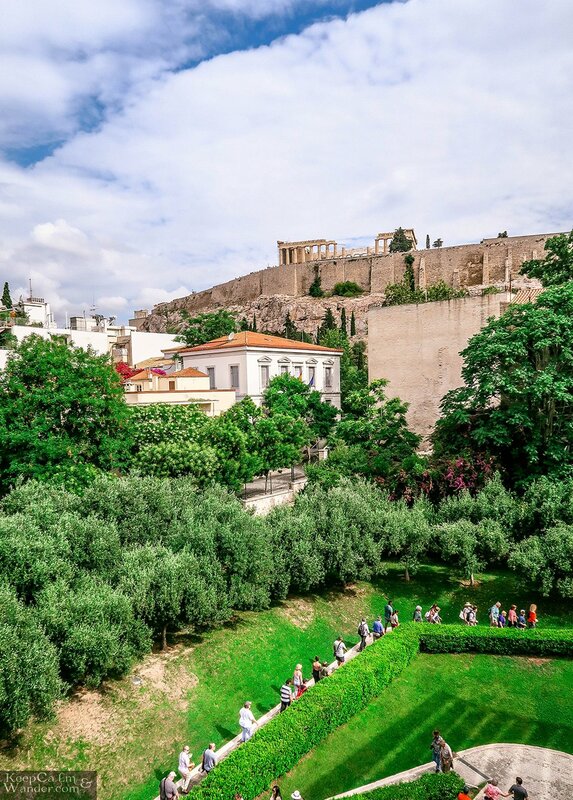 Remember that Monastiraki area is where you can walk to all the sights you want to see in Athens. If you’re a budget traveler, there are a couple of hostels in this area, too. Try City Circus Athens Hostel and Bedbox are nice hostels to stay in. You can book either of them via HostelWorld and Booking.com. 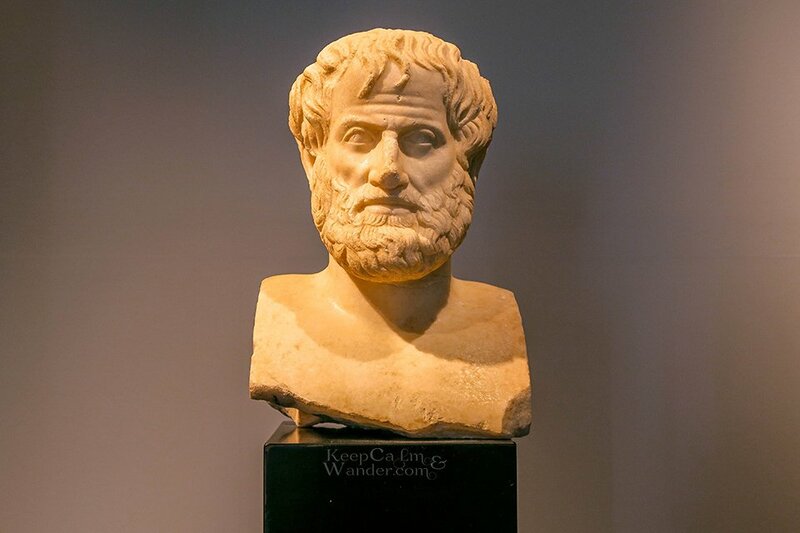 Don’t forget to ogle at the bust statue of Aristotle. It is the best surviving portrait of the famed Greek philosopher found in 2005.